You know the feeling when an airplane takes off, and your ears pop? This sensation might also happen when you’re riding up an elevator of a tall building (think NYC skyscrapers). Well, your phone also feels these altitude changes — it senses shifts in pressure and assumes it has gone up in elevation. This is called barometric pressure. Many phones have barometric sensors to help calculate changes in altitude. The sensors work by checking for relative pressure – if the pressure suddenly changes, the phone assumes you went up in elevation because of the rapid change. We’ve recently been hearing more questions around barometric pressure and how it relates to location data, so we wanted to add some context here. First off, let’s ditch the word ‘barometric pressure.’ For our purposes, we’re only using barometric pressure to calculate altitude, not weather. “Barometric pressure” sounds fancy, but it muddles the waters. When you think of ‘The B Word,’ you can just think ‘altitude.’ That’s better, right? What Does Altitude Have to Do with Marketing? Understanding where consumers go throughout their day can be a game changer for marketers. Questions at the core of every business can be answered — Who visited your store? Did your ad campaign really drive foot traffic? 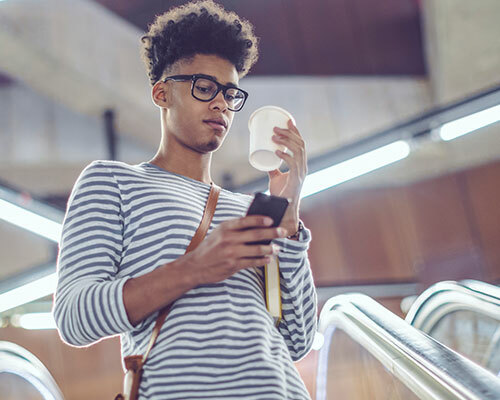 Making sense of where consumers go in the offline world – via location data – powers advertising, measurement, analytics and more. However, people – and their phones – are sometimes on different levels within a building. If they are in a shopping mall, the latitude/longitude points recorded on their phone could fall within a few different stores – the clothing retailer on the first floor, the home goods store on the second floor, or the restaurant on the fourth floor. This is where altitude comes into play. The question is, are we as an industry ready to make buying decisions based on altitude? In short, no. But we’re getting there. Altitude measurement is in its early days. Like any newer technology, there are many wrinkles that have not been ironed out yet. While it’s likely to be used for practical measures in the future, it’s still not perfect, and doesn’t even apply to most situations. Altitude Isn’t Needed Most Times: There’s only one instance where altitude could impact your marketing efforts: in multi-level buildings. However, with the exception of retailers in major cities, most U.S. retail stores are flat. Since altitude is not needed for most campaigns, it’s probably not worth changing your buying strategy over. Mobile Altitude Metrics Aren’t That Accurate: To calculate altitude, your phone senses changes in pressure. While a sensible approach, this measure is not yet sophisticated enough to transact against. To start, elevation isn’t the only reason for pressure changes. When a storm rolls in, the phone will also sense a change in pressure. In addition, it doesn’t account for a person’s height, or phone placement for that matter (Is it in their back pocket? Are they making a phone call?). When dollars are on the line, this lack of precision can make a big difference. We recently did a test in our NYC office, and discovered altitude calculations to be highly inaccurate. While on the 18th floor, one employee’s phone reported 90ft elevation, and another said 100ft. Not only did we see different numbers between devices (by about 1 story), but both numbers are shockingly far off from where we expected them to be (18 floors should be closer in height to 200ft, not 100ft). We then checked the elevation reading when descending in the elevator. On the ground floor (18 floors lower), it only dropped a few feet in elevation. This test was pretty disheartening, and left us very wary of the altitude measurement capabilities of current phone models. If you are as curious as we were, you can easily do this test on your own — just open the compass app on an iPhone. Let us know how your test goes – we’d love to know! Location Data Isn’t Perfect: We’re all about transparency, and we’re the first to say it – location data also isn’t perfectly accurate. We even wrote a paper about it, called Location Accuracy Revealed. But not to worry — horizontal data variances are much smaller, and aren’t even an issue for most stores. If you’re in a Home Depot or a Kroger’s grocery store, a 10 foot variance won’t typically make a difference. Tall buildings, on the other hand (when altitude data would come into play) tend to have many smaller-sized stores. Therefore, the location data can be less accurate. When you layer in altitude information – another imperfect source of data – you are only exacerbating the issue. In the rare case you’re dealing with a multi-story retail building for your marketing campaign, you’re likely dealing with location inaccuracies that make that extra bit of information meaningless. Altitude Isn’t Standardized: Right now, the OpenRTB standard doesn’t support altitude being passed in programmatic requests. Therefore, altitude only applies to smaller scale, non-programmatic ad buys. In short: don’t make a major cut in your scale to get a bit of extra information that won’t even apply for most situations. As data and technology continues to mature, altitude might one day be a useful tool. But for now, there are just too many wrinkles for it to influence buying decisions. Which Casual Dining Restaurants Stole the Most Hearts This Valentine’s Day?